Claudia Allen and Troy Nicholas are living the dream in Nelson. Claudia Allen and her partner have found that age is no barrier to working for yourself. The 22-year-old has not only followed in her aunt’s footsteps by joining CrestClean, she and Troy Nicholas, 24, are among the company’s youngest franchisees. The couple recently relocated to Nelson from Auckland and are loving the change in pace and the benefits of a job that gives them more time together. They’ve found living in Nelson a far cry from the hustle and bustle of Auckland. And they certainly don’t miss the city’s gridlock roads – especially the daily commute, they say. Claudia, who used to work in government department, says they each endured up to two hours travelling each day. Claudia got her first experience of commercial cleaning while visiting Nelson when she was at university. Her aunt, Barbara de Vries, is CrestClean’s Nelson Regional Manager and Claudia began helping out with some cleaning during the holidays. It was seeing how successful Barbara has been with CrestClean that sparked Claudia’s interest in a career in the commercial cleaning industry. In 2008, Barbara began as a franchisee in Taupo before moving to Nelson in a managerial role. She’s in no doubt her niece and her partner will be successful in their new careers. Claudia says they are enjoying Nelson’s great climate and outdoor lifestyle. “The area is so beautiful down here. Sam Lewis, CrestClean’s General Manager Franchise Services, says the company is attracting a new generation of young couples. 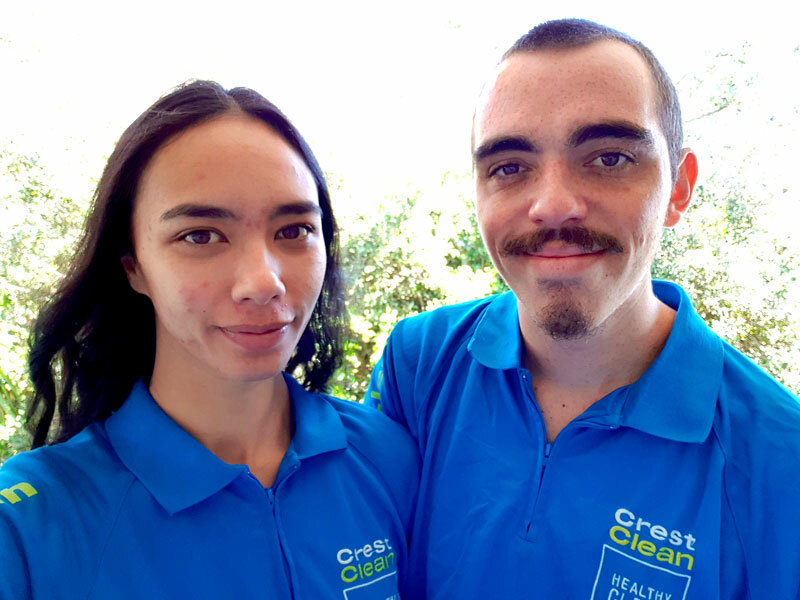 “CrestClean has multiple examples throughout the country of young people like Claudia and Troy who are creating successful careers with CrestClean. “Starting out in business at a young age gives people a real head start in life. The CrestClean franchise system enables excellent earnings and the opportunity for people to create a financial platform to reach their goals. Nelson is included in CrestClean’s Move to the Regions Programme. There are many benefits of living in the regions: Earnings are the same as the big cities but living costs are way less. CrestClean offers up to $3,000 towards relocation costs for people who buy a franchise under the programme.